Which marquees give the greatest return on investment? Thereâ€™s other gazebos, pop-ups and party tents available but none of them are really suited to the hire industry. -Neither of us like traditional canvas marquees. They have their place for some companies but neither of us wanted to get involved with them. -Both of us like aluminium frame structures, no argument there the 9m & 12m wide stuff is very impressive. -But heâ€™s missing a trick by not using steep pipe marquees for his 6m wide stock. 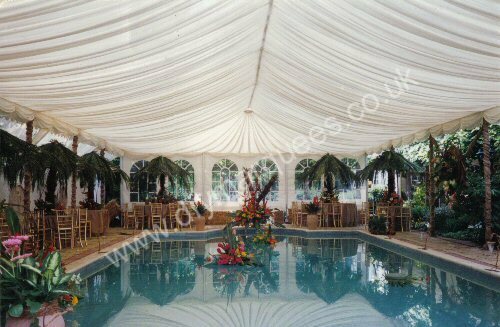 When I ran our hire company we had 6m, 9m and 12m wide marquees. 6m wide steel pipe marquees are the most lucrative, offering the best return on investment (ROI) of any of the 3 sizes. In fact about the only thing we had that offered a better ROI was fairy lights (buy for Â£30, hire out for Â£30). Â£130,800 vs Â£15,100!! I really donâ€™t see thereâ€™s any argument. As anyone will recognise this is a simplified version of a business. You canâ€™t rely on getting 20 bookings all paying full price if youâ€™re starting up a new company, but then thatâ€™s the case no matter which style of marquee you use. This doesnâ€™t take in to consideration extras like flooring, lighting, furniture etc which are all lucrative in their own right â€“a lot of companies refuse to do an empty marquee. Surely having 6 marquees gives you greater opportunity to make money from extras than having one marquee? If youâ€™re starting a business or replenishing your 6m wide stock buying DIY Marquees gives you the best return on investment available. Iâ€™ve tried to state the facts and figures in an unbiased manner, I just think thereâ€™s a few people out there who need to remember why weâ€™re in this business -putting food on your childrenâ€™s plate/putting beer in your pint glass, whateverâ€™s your motivation. Thanks for reading, I hope Iâ€™ve given some people something to think about. Posted in marquee hire advice, marquees for sale | Comments Off on Which marquees give the greatest return on investment? Ever gone in to a marquee and the matting looks like the waves on an angry sea? Assuming it was laid correctly there’s actually a very simple reason. As mentioned in a previous post coconut matting is a very popular way of flooring marquees. Harder wearing and longer lasting than carpet, more attractive (in a lot of peoples opinion) and cheaper than plastic flooring it’s the flooring most marquee hire companies use. So why does it ruckle up so much even if noone’s been walking on it? The answer is it’s because it’s a natural fibre and absorbs moisture. If you floor a marquee with matting on a sunny afternoon no matter how tightly you stretched it the following morning it will be all ruckled – it absorbs the moisture from the dew and expands. So the lesson is if you’re faced with ruckled matting (whether it’s you in the marquee or your customer panicking on the phone) don’t relay it! Wait until the afternoon for it to dry out and it should go back to it’s previous flat self. Of course if it’s still ruckled in the afternoon it means it wasn’t laid correctly -try stretching it tighter or space the nails closer together. Lisa from County Marquees made a good point after part 1 -google offer a free tool to research keywords. In my experience this is very useful but not detailed enough to get more specific data (impressions for marquee hire Reigate wouldn’t appear for example). If you haven’t read part 1 you should go read that first otherwise this won’t make sense (or be practical to carry out). This step is the hardest. You can do it yourself but it takes a lot of trial and error -it took me over a year to learn. Apparently there are some programs available to do this step but most people seem to pay a professional to optimise their site(s). Optimising takes 2-3 days and the going rate seems Â£600-Â£1000. If you’ve bought some of our marquees then I’d offer to do this at the same rate I charge my mates (Â£300 currently). I’d prefer not to though as my workload is pretty big but we try to make sure we look after existing customers. This sounds complicated but actually is pretty easy. Inbound links (links from other sites to your site) count as a ‘vote’ for your site. The more relevant the website that’s linking to you the better quality the vote. So a link from a marquee hire advice blog like this would count more than a link from a carpenters for example. Make sense? If you do nothing else apply for a link from the marquee hire section of the Open Directory although this might take 6 months it’s a very highly regarded directory. Lastly try to build up links slowly, you’re punished if all your links appear overnight. I’m not sure I’ve explained this incredibly well, if you need clarification of anything don’t hesitate to contact me and I’ll talk you through it. Website’s are great things (you’re reading one so let’s assume you know that already!). The bigger you get the more time work and effort should go in to it, especially getting it up the search rankings. I’m going to cover number 1 today and 2 & 3 next week. Ignoring the fact I can’t legally set up a marquee hire company due to the contract I signed when selling our old company let’s imagine I was starting a new hire company -Spencer’s marquees (I like it already). The first thing is to be realistic.Â You’re not going to get top of the rankings for ‘marquee hire’ without paying a professional upwards of Â£15k/yr (actually good value, we spent more on Yellow Pages years ago). But think about it, unless you’re covering all of the UK you don’t want to be. I live in Reigate so I’d imagine the terms I want to get are ‘marquee hire reigate’, ‘marquee hire redhill’, ‘marquee hire surrey’ that kind of thing. But before I go any further I need to make sure & do some research. First thing is to set up a google adwords account -there’s always offers & vouchers around for adwords so look around for those before you sign up. Â£20/Â£30 free is typical (when you pay Â£10). For those who don’t know google adwords are the paid adverts that appear on the right (and sometimes above) any google search. It’s how they make their money. The next thing to do is put as many phrases into that keyword list as possible. We all know there’ll be lots of searches for ‘marquees’ and ‘marquee hire’ but you need to get inventive, when researching I’ll typically have 60-100 keyword phrases in this list (google suggests some too). Set each bid to the minimum bid 2 or 3p. Here’s the ironic thing -obviously it’s nice getting people to click through to your website but you’re not bothered if they do or not. What you need is the column marked ‘impressions’. This shows the number of people who have searched through google for that keyword phrase since you started your campaign. Easy research huh? Check back regularly to make sure no keywords have become inactive then leave it for 2-8 weeks until there’s an established pattern and you know which keywords you want to use. Until this research is finished you can’t move on to step 2. These companies will only do step 3 of my list above. They’ll quote ‘a recent google white paper’ that mentions you need quality inbound links, which is true but ignores keyword research and optimising your site which is far more important. Don’t give them your money, it’s not worth it. Don’t believe I know what I’m talking about? Google ‘marquee hire advice’ and this blog is usually number 1. Google ‘marquee for sale’ and our domestic sales site is usually number 1. If you’re starting a marquee hire business you should have a website. It’s not essential, to start with you’ve probably got more things on your mind but you should certainly get one sooner rather than later. What should you put on a website? Photos and lots of them. People will visit your website wanting an idea of what you do. Photos are the easiest way to do this. Make all wording reassuring. People want to know you’re reliable and will turn up with their marquee. It’s up to you whether you put a full price list online, certainly some ideas of prices will help. Keep it simple, clean and tidy. Don’t start putting loads of special effects or use coloured backgrounds -keep the background white or a very light colour and only use special effects if they’re functional (slide shows for example). My next couple of articles will be about getting your website up the search rankings. If you want to do this you’ll need to be able to change several things – the title, description, and a few other features which some website design programs don’t allow you to do. It may not be something you want to get involved in, but customers will expect you to provide toilets if required. All loos are not the same! There are luxury trailer units. There are ‘bog standard’ plastic cubicles. There are units in between. Toilets are nothing to stress over, it’s just a lot easier if you have contacts in place and ideas of prices before you speak to customers. You should also have an idea of what kind of access is required for each method. Building up a relationship with a supplier like Sweet pea luxury toilets is very useful. You can get set prices which are usually discounted to marquee hire companies -this means you charge the customer the same price as they’d be charged anyway and you make some commission for making the booking. Luxury trailer units aren’t that manoeuvrable so allow plenty of access space for them to be reversed in if required and allow 10ft/3m headroom. It’s also worth noting which side the doors are when positioning them (generally on the drivers side). Middle of the range trailer units are the same as the luxury ones but without the gold plated taps, piped music & fitted carpets. Space-wise you still have to allow for a large trailer to be manoeuvred. Plastic cubicles are generally 1m square and can be moved up to 10m away from vehicle access (the cubicles are pumped out before lifting back so it depends on how long their pipes are). You need to allow enough room for a large flatbed van or lorry to reverse in and ideally the cubicles wouldn’t be lifted very far. All the different toilet units should be self-contained so there’s no need for water supplies or drainage. Just remember that the trailer units will need a power supply (clarify if you run this or the toilet company) and the cubicles might need a light inside (they don’t come as standard). Once you’ve decided to go into marquee hire don’t just sit on your backside expecting the bookings to come rolling in.  Get out there making contacts (networking seems to be the popular phrase for this). This is the bread & butter of marquee hire companies. When organising an event some people wonâ€™t go to the marquee company first. They might go to the caterer, the florist, the DJ. Everyoneâ€™s different. Getting in with these people is a MUST. Fill your pockets with business cards and leaflets, put your best charm hat on and if possible go and meet people face to face. If not send them some literature and follow it up with a phone call. Do some research and find all the catering companies, DJ’s, Bands, florists, party planners and any site where you’ve seen marquees up or think marquees might be of interest -National trust properties, large pubs, hotels etc. Some people work on commission for recommendations. Personally I always avoided paying any commission and relied on a â€˜you scratch my back and Iâ€™ll scratch yoursâ€™ approach, however I think Iâ€™m in the minority and if you get regular business from such arrangements losing 10% of it is manageable. As a final note some people will actually contact other local marquee hire companies to get on good terms with them. That way if you or they need to cross-hire anything you have communications in place. Marquee equipment generally doesn’t take much power, but as the marquee contractor you generally take responsibility for supplying power to the Band/DJ, the caterers and anything else the customer may need. Get your customers power requirements clarified in advance. Ask them -do they need you to supply power for the DJ? If so please ask him/her how much power they require. -do they need you to supply power for the caterers? Find out how much they need. Do they need power to the Bar? Quite often they simply won’t know. A DJ will say ‘oh I just need two sockets’. It could mean he/she needs two 3kw leads, or the most likely answer is one 3kw lead is fine as long as it’s got at least two sockets on the end. Caterers will use the most power. One tea urn is 3kw (they often have 2 or 3) plus cookers, plus hot cupboards. Maybe they should watch the celebrity masterchef episode when they’re cooking in the jungle! Anyway, chances are the caterers will need 6-15kw of power. When plugging these in to a house always use an RCD plug even if the house is covered on an RCD anyway -an RCD will trip the power if there is a fault (someone accidentally cutting a cable for example). 1.5mm cable is okay for short runs (up to 15m say) but 2.5mm should be used for longer runs to avoid voltage drop. One cable can supply up to 3kw. The electrician is reliable and tidy – his work and attitude will reflect directly on you. Make sure the customer is going to be in when the electrician arrives. You can put a marquee up while a customer’s out but you can’t connect the electrics. Make sure you hire a ‘supersilent’ one, these are the quietest (to my knowledge). Make sure the spare fuel isn’t left by the exhaust of the generator. Sounds common sense doesn’t it? Apparently not for one of our jobs -I found the plastic cannister melted down on one side with diesel spilling on to the ground. I assume it’s only because diesel doesn’t have the explosive properties of petrol that there wasn’t a big bang! Getting a generator company who deal with marquees regularly is ideal. A few people thought I went a bit over the top in criticising breathable flooring a couple of weeks ago and point out that there’s a lot of people using it. And that’s true. But I hate it and find it pointless. Carpet is better for single events, matting is better as a long term investment, both will be less of a headache than breathable flooring. Hey it’s my opinion. I don’t want this to be all about our DIY marquees (despite them obviously being the greatest thing since sliced bread), there are other, larger marquees for sale out there and they have their place in most larger marquee hire companies. In our company we used our style of marquees for 6m (20ft) wide stuff, and aluminium modular frames for 9m and 12m wide tasks. Any job larger than 12m x 24m (four 6mx12m marquees connected) we’d use 9m or 12m modular kit. We also had some pagoda/witches hat marquees as entrance tents etc. Be careful when lifting. I blame my serious back injury purely on lifting 12m frames. Even now I’d happily lift our 6m marquees all day but there’s no way anyone would get me near 12m wide marquees. Make sure the marquees are completely square, you can tell this by looking at the scalloped trim from a distance. It should be perfectly straight all the way along. If it’s not square your marquee will leak. We found this out the hard way, if the roofs aren’t on square the keader must be buckled slightly and it allows water in -this is why we designed our DIY Marquees to have roofs all in one piece. When pulling the roofs on (using two ropes) clip a third rope on that gets pulled back over the marquee with the roof. This means the two pulling ropes can be clipped on to it and pulled back rather than throwing them again and again. Not sure I’ve explained this one too well but this saved us a LOT of time (ropes would get stuck round purlins regularly). You shouldn’t need to use steps for these marquees: gables (pvc & uprights) can be put on and lifted with the frame, ropes should be put through the apex pulleys while down on the ground and lighting can be attached to the lining poles before they’re pulled in to the ceiling. The only reason we took steps was in case the roofs got caught when feeding over the apex. I’ve heard some people (braver or more stupid than me) actually climb up the frame when this happens! S*d that! Be careful when strapping the roof beams on to a roof rack or trailer. It’s very easy to bend the beams doing this which weakens the structure and can result in them staying bent out of place. There’s probably loads of other things that I’ve forgotten that we took for granted. If I remember any more I’ll post them.